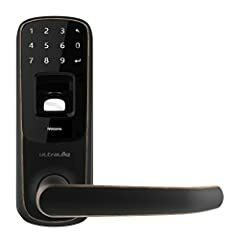 I got the pleasure to review the Ultraloq UL3 BT Bluetooth Enabled Fingerprint and Touchscreen Smart Lock. 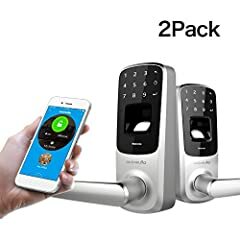 It is a great lock with all the newest features and more. I find the fingerprint scan to unlock great as it is quick, easy to program, and works flawlessly. 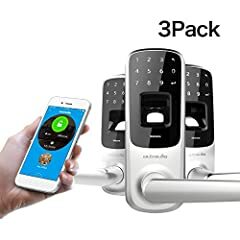 There are four different ways to open the Smartlock: with the app for Android/iPhone through Bluetooth, with a standard key (can unlock when batteries die (after around 8000 unlockings), with a fingerprint scan, and finally with a pin code that you can setup. It is very flexible to use and is excellent for safeguarding, security, rentals, and locking the most sensitive areas. 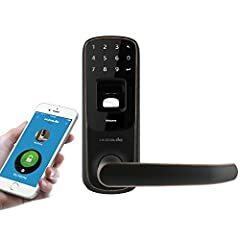 I highly recommend getting one if you are looking for a new lock with tons of the latest features. Does the other side of the door lock as well so my kids can’t run outside?